Speed, performance and durability - the most desired attributes of a laptop/desktop PC. Increasing the RAM size or the hard disk capacity is a sure way of enhancing performance as long as the processor is capable of handling the operations. This is one reason why a powerful processor is needed for handling applications. A powerful processor, such as the Intel Core i3, is suitable for desktop and laptop computers due to its multi-core operations. 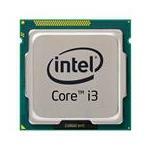 For buying a quality Core i3 Desktop processor, you need to check the part number compatible with your system. Just select the processors that best fits your requirements and read its specs. If you are unsure about the compatibility of Core i3 processors, call our IT specialists right away for a free consultation. 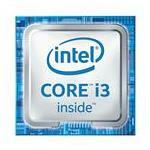 Core i3 processors cost less than i5 processors depending on the specifications. Order them online through Memory4Less.com and avail free shipping on your purchase.